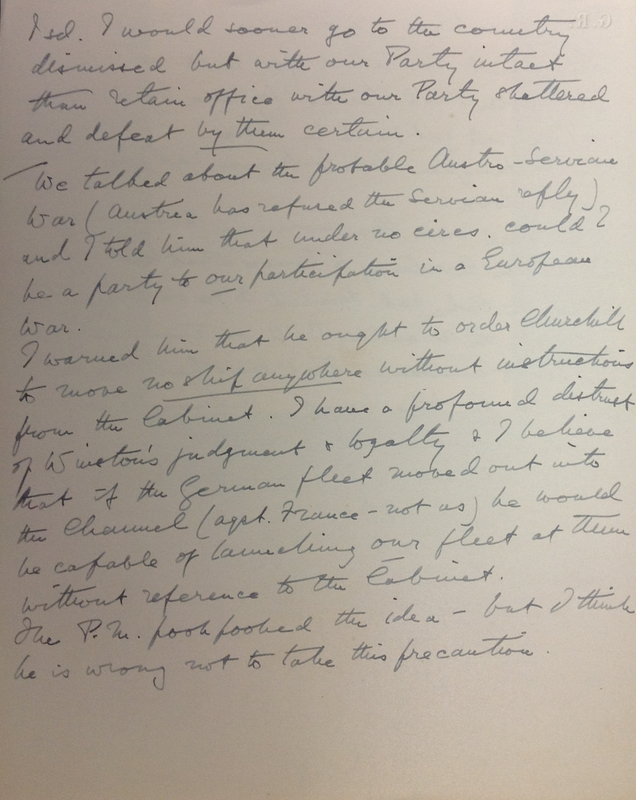 Harcourt records a meeting of Asquith’s Cabinet held at the House of Commons at 5:30pm. 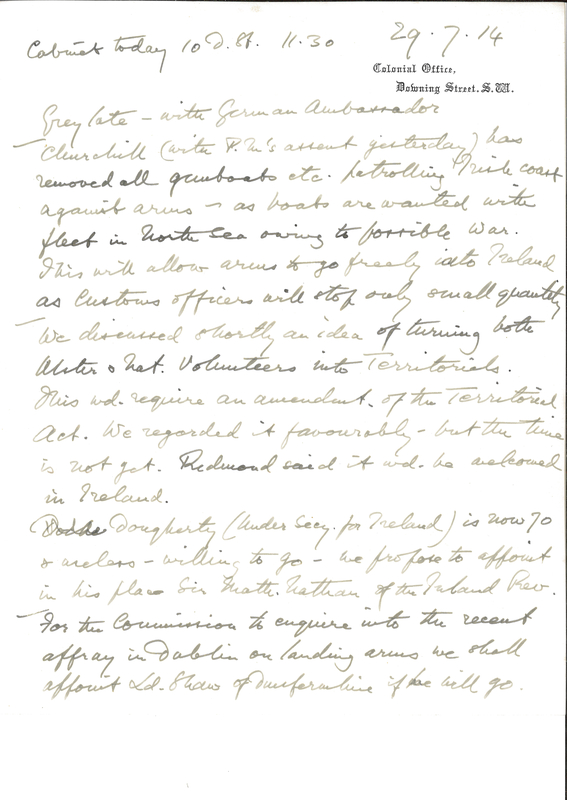 The Cabinet first discussed the situation in Ireland before turning its attention to the ‘Austro-Servian crisis.’ Harcourt describes an ‘inconceivable’ German proposal put to Winston Churchill by the German businessman Albert Ballin seeking British neutrality in any prospective German action against France. 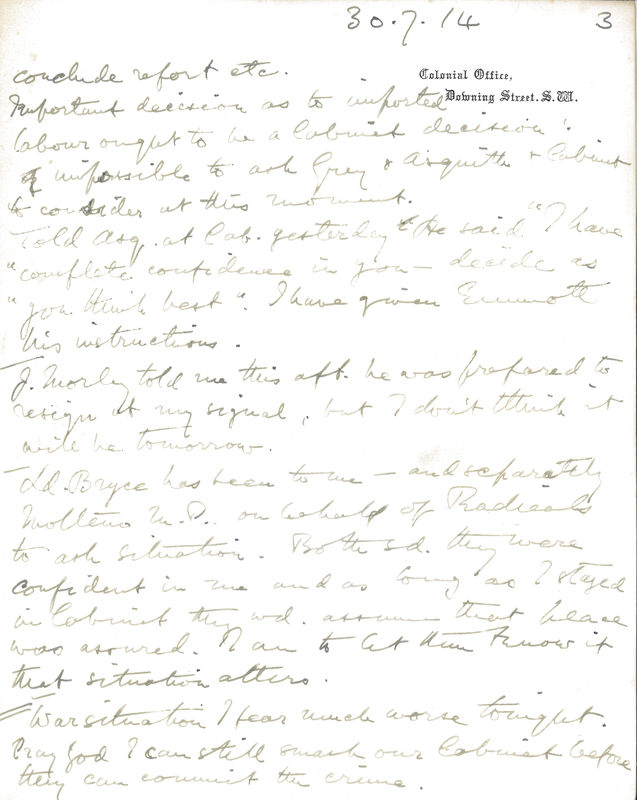 Harcourt remains firmly committed to British abstention from any war on a ‘Servian issue’ and is working to form a peace party ‘which if necessary shall break up the Cabinet.’ He contrasts the attitude of the Foreign Secretary, Sir Edward Grey, who is working hard for peace, with the ‘belligerent’ David Lloyd George, Chancellor of the Exchequer. 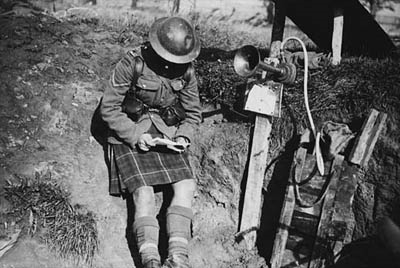 He has heard reports that the first shots were fired by Serbia on Austria earlier that afternoon. 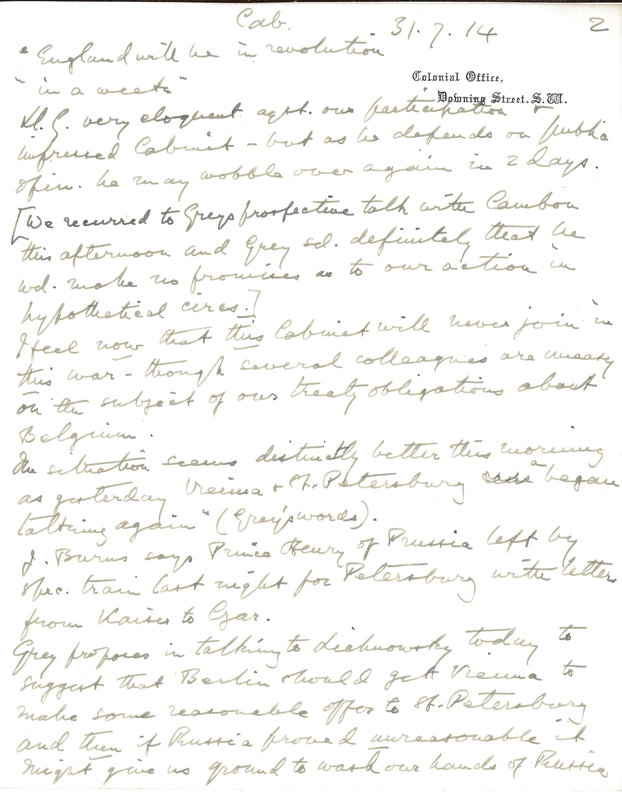 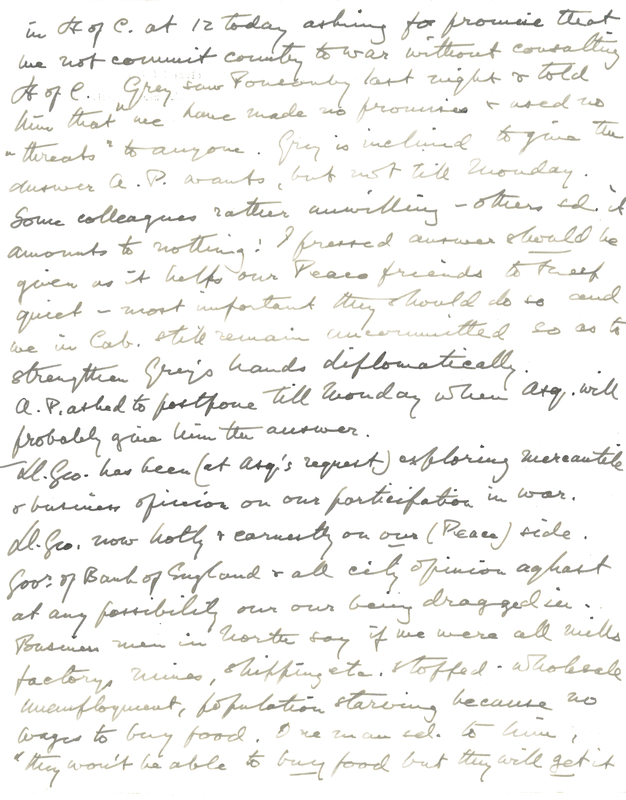 Entry for 27 July 1914 from the political journal of Lewis Harcourt (page 1). 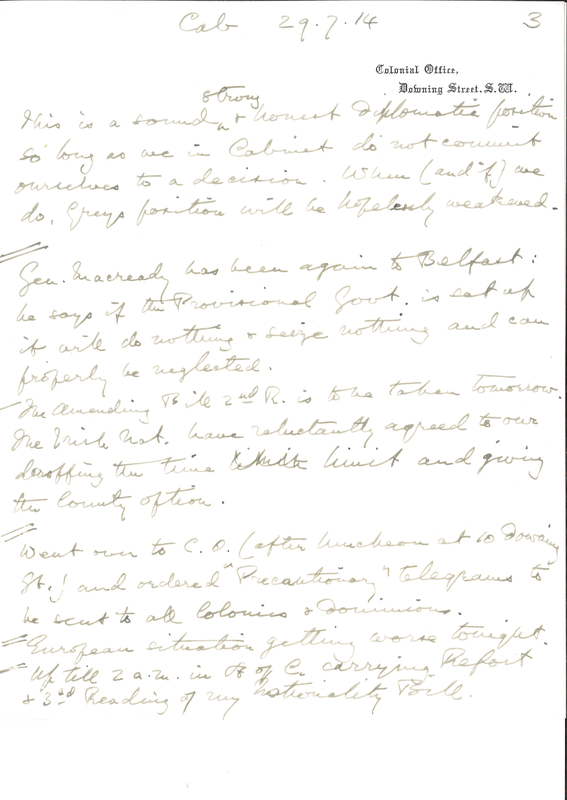 Entry for 27 July 1914 from the political journal of Lewis Harcourt (page 2). 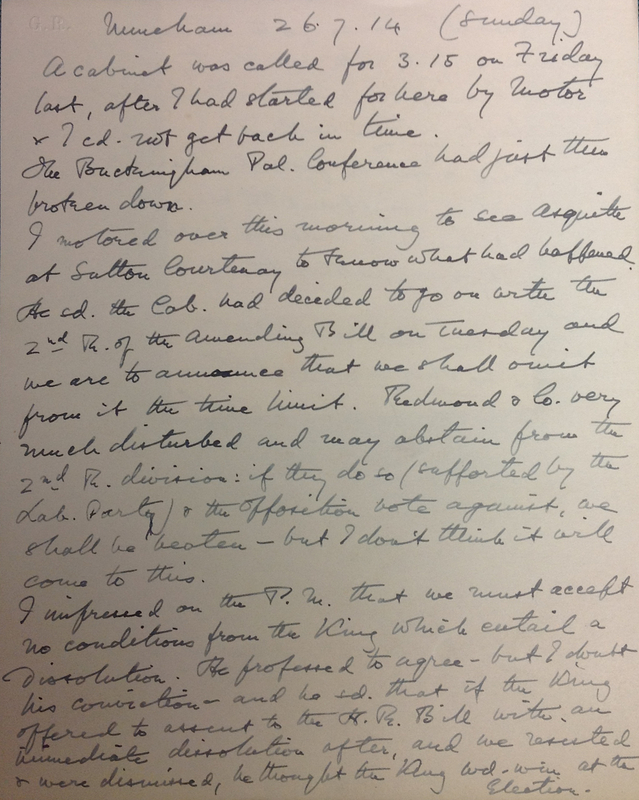 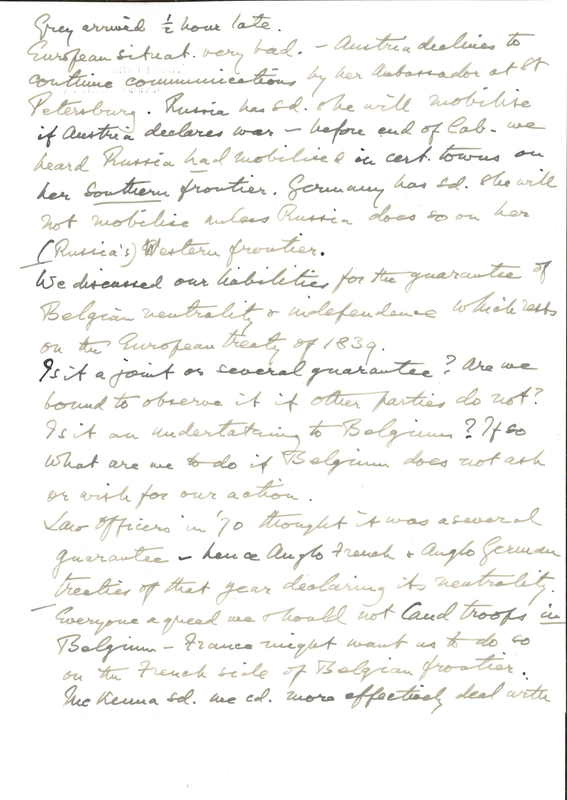 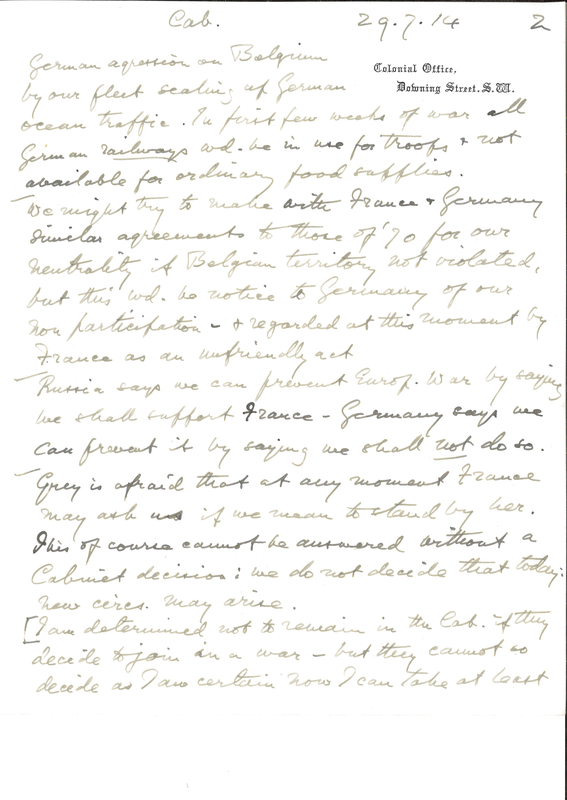 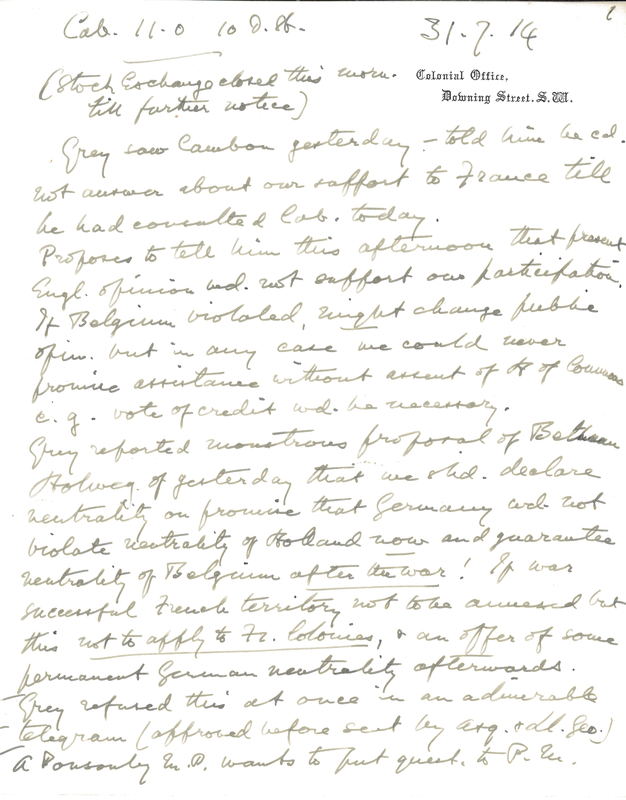 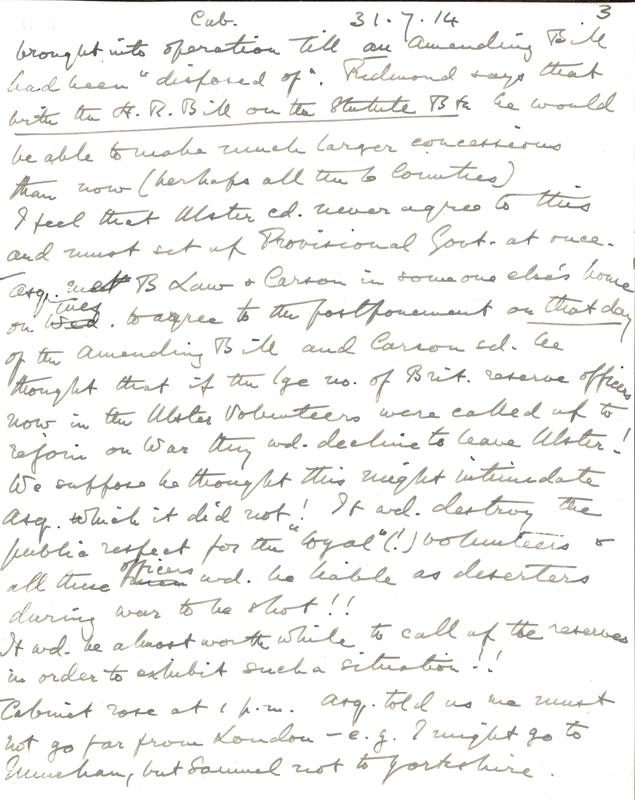 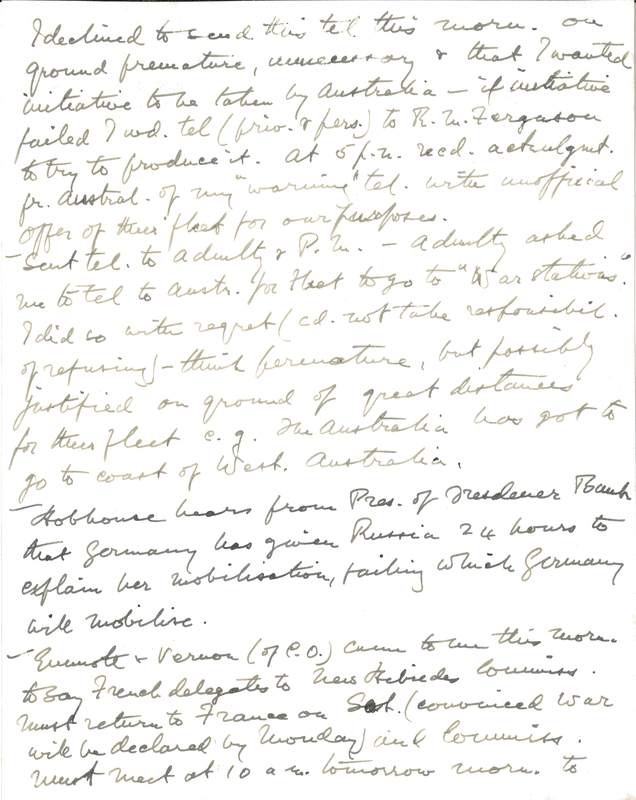 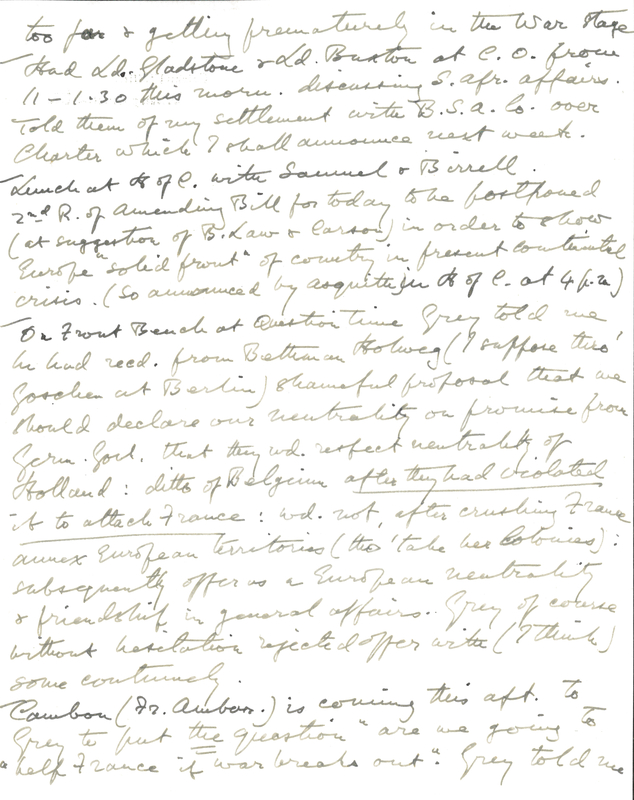 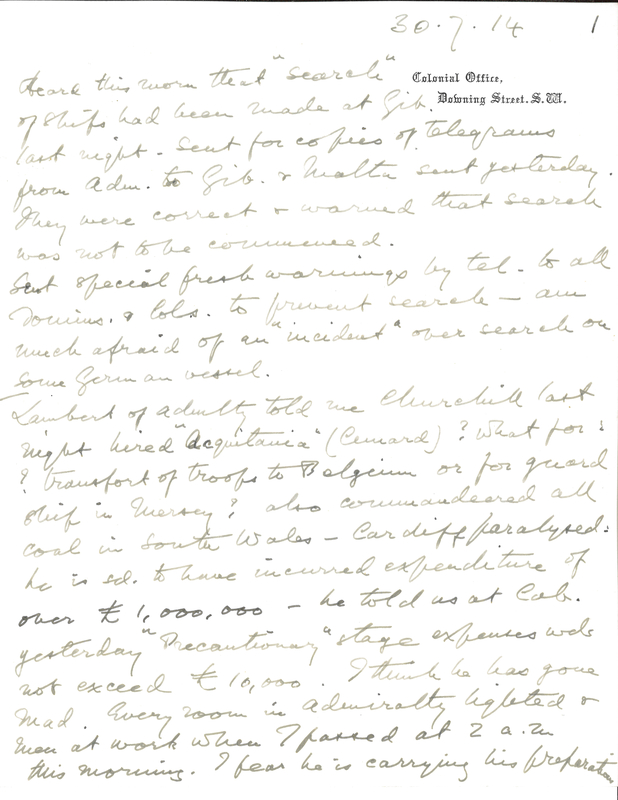 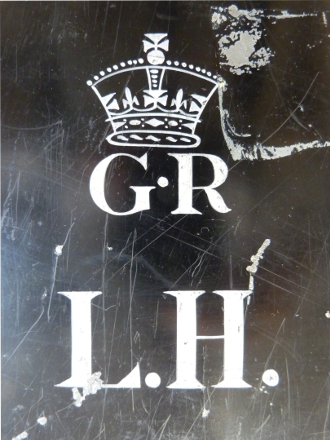 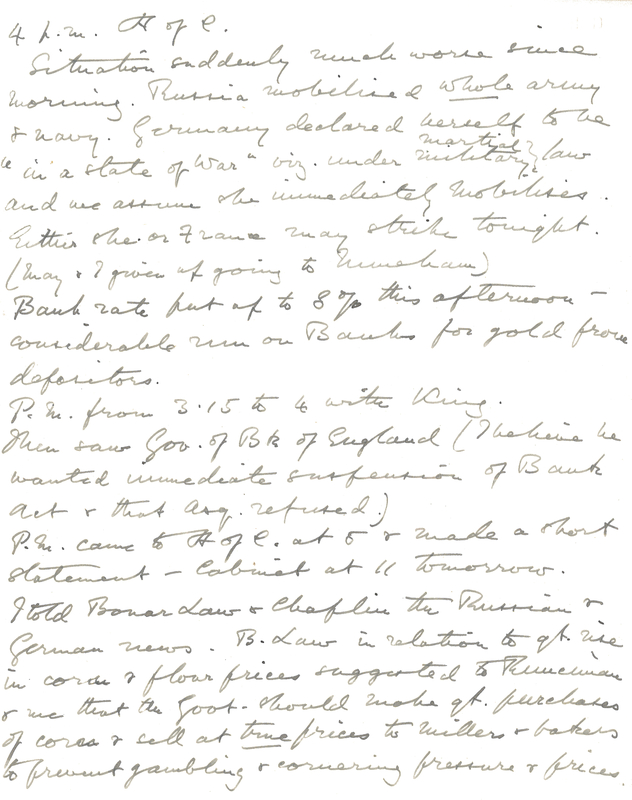 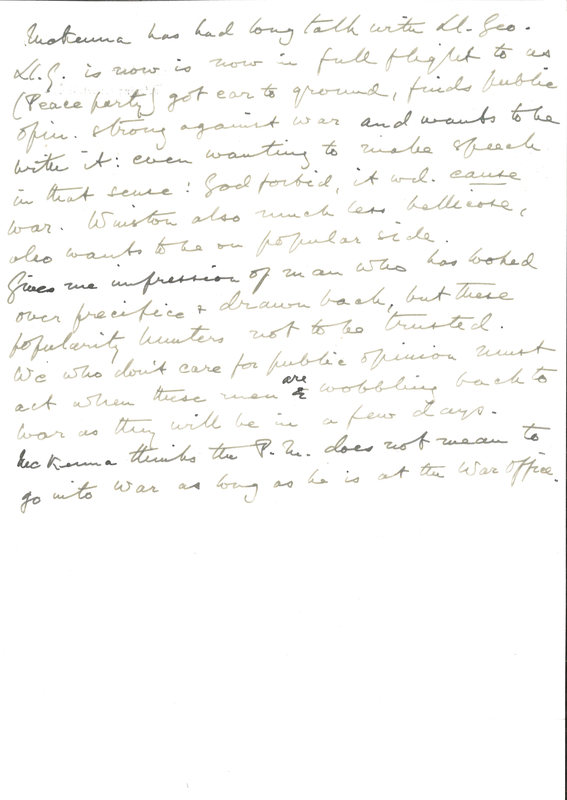 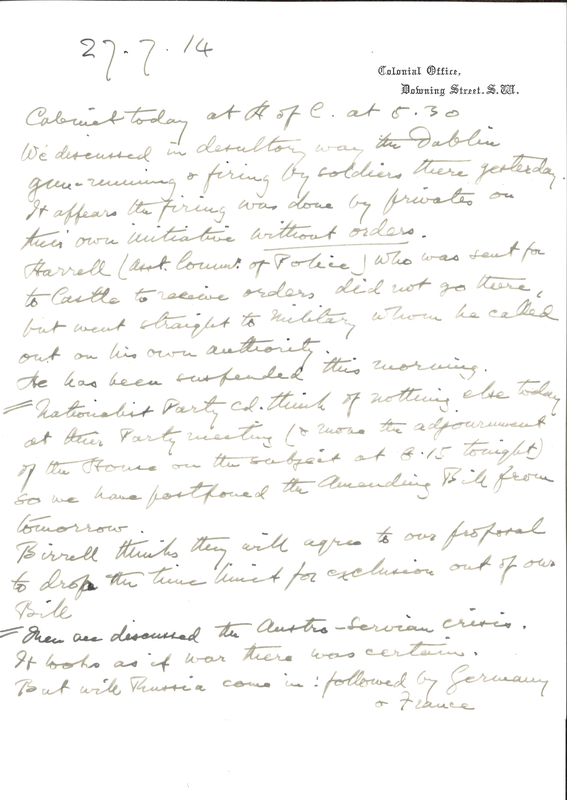 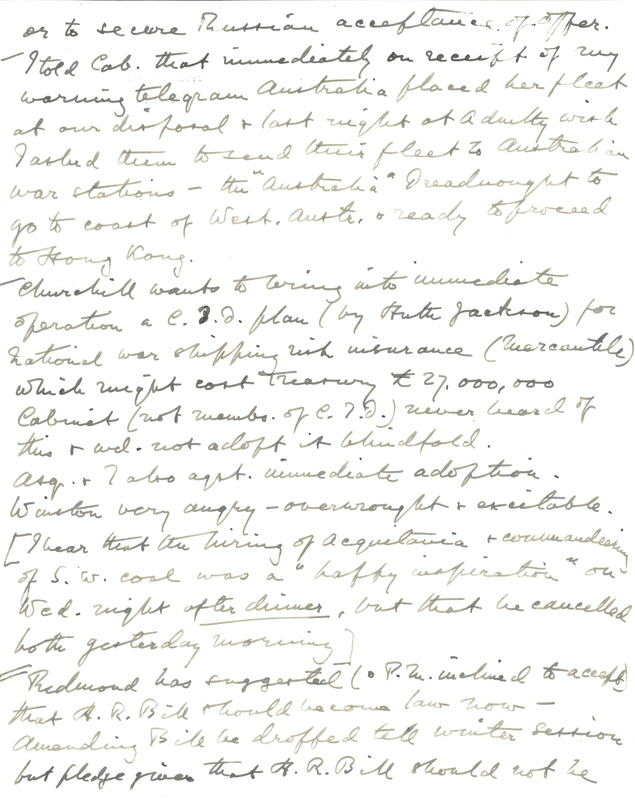 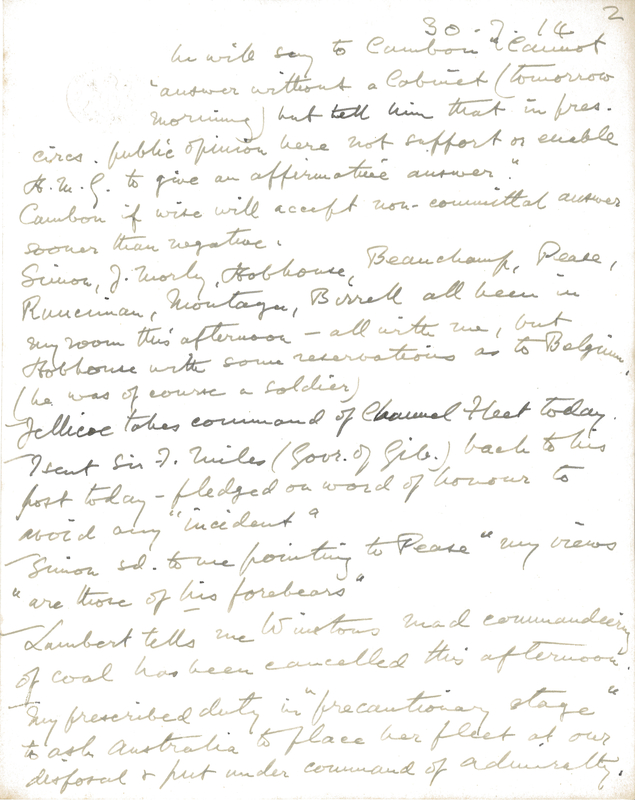 To mark the centenary of British intervention in the First World War on 4 August 1914, we shall be posting entries from Harcourt’s journal on this blog from 26 July to 4 August. 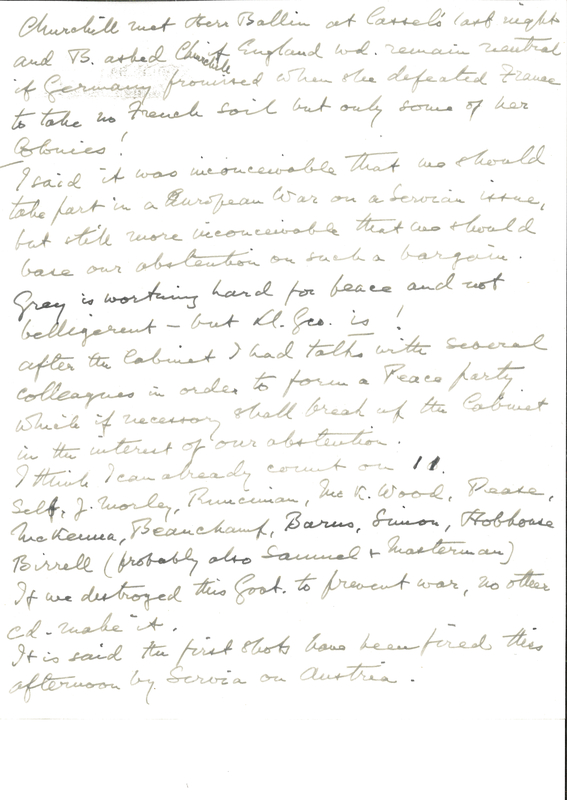 The journal traces the slide into war, and captures the changing opinions of individuals and groupings of ministers both for and against intervention. 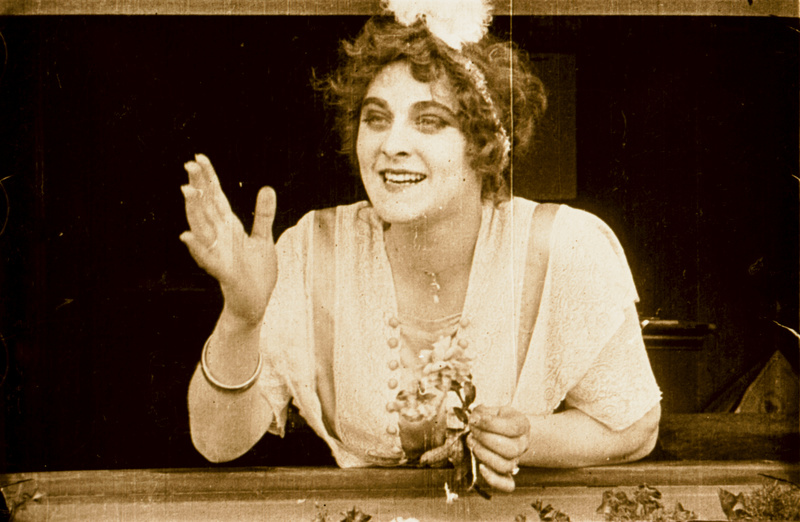 an early sighting of one of cinema’s greatest icons. 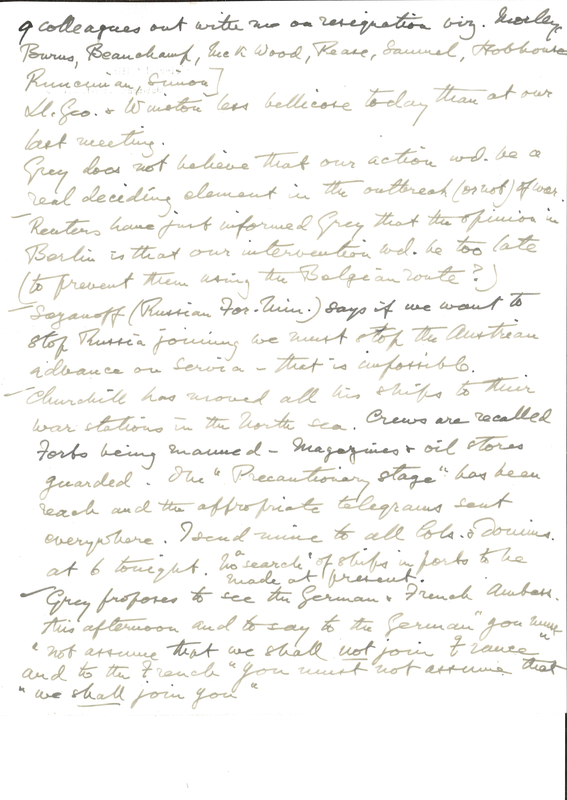 Take yourself back to a hundred years ago and see where the world of film all began. 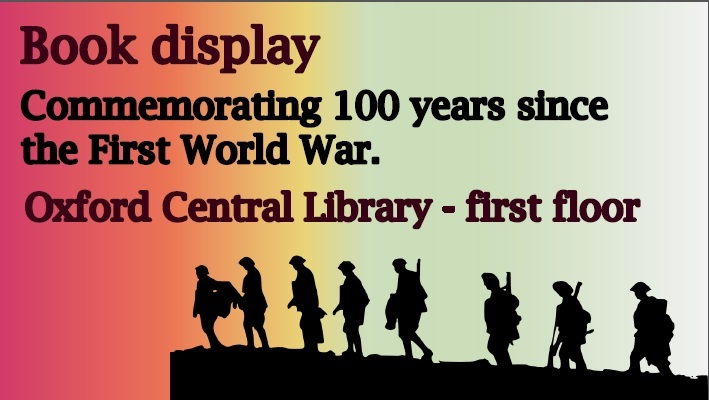 See the trailer here and keep an eye on the Phoenix Picture House website for the latest information.